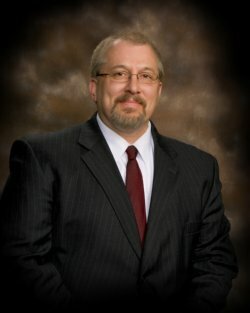 Shawn Becker was elected to the Office of Wood County Sheriff on November 6th 2018. 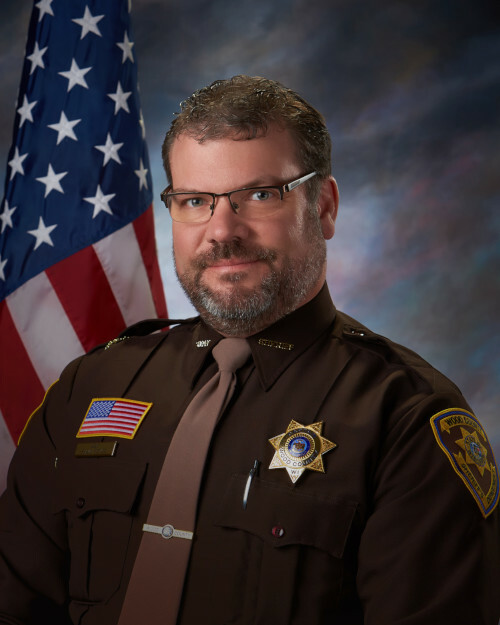 Sheriff Becker began his service to Wood County in 1997 as a Deputy Sheriff and served as Field Training Officer, Traffic Crash Reconstructionist, Defense and Arrest Tactics Instructor and Vehicle Contacts Instructor. He was also a member of the Special Response Team as Crisis Negotiator, Entry/Breach Team and Assistant Team Leader. Sheriff Becker also served as Patrol Sergeant, Investigator Sergeant, Patrol Lieutenant and in 2015 he was promoted to Patrol Captain. Sheriff Shawn Becker graduated from Stevens Point Area Senior High School in 1988. He earned a Bachelor’s Degree in Political Science from University Wisconsin-Stevens Point in 1993. Chief Deputy Randal Dorshorst began his law enforcement career in Wood County in 1988 when appointed to a Reserve Deputy position. Chief Deputy Dorshorst served in many capacities at Wood County: Reserve Deputy, Patrol Deputy, Patrol Sergeant, Investigator-Sergeant, Investigative Lieutenant, Sniper, Firearms Instructor and Armorer, Boat Safety Instructor, Fleet Administrator, and Field Training Officer. Dorshorst was promoted to Chief Deputy in December 2010. Dorshorst has been a lifelong resident of Wood County and has a degree in Police Science. The mission of the Wood County Sheriff’s Department is to enhance the quality of life in Wood County by working cooperatively with the community to enforce the law, preserve the peace and provide for a safe environment. The Wood County Sheriff’s Department is committed to accomplishing its mission by treating everyone with courtesy, professionalism and respect. The Wood County Sheriff’s Department will enforce the laws impartially and with the highest ethical standards, fighting crime through deterrence, education and community partnerships. There are no Current Events posted for the Sheriff's Department at this time.